Gopal Murali’s study has linked the presence of stripes on the reptile to an effect once exploited by the US Navy in World War I.
Kris Kelley/Wikimedia Commons [Creative Commons Attribution-Share Alike 3.0 Unported license]. As the First World War intensified and English ships started getting torpedoed with alarming regularity, British zoologist John Graham Kerr put forward an intriguing idea to the First Sea Lord Winston Churchill. His suggestion was that if stripes – like those seen on a zebra – were painted across ships, they would make it difficult for the enemy to pinpoint the location of the vessels or gauge their speed. 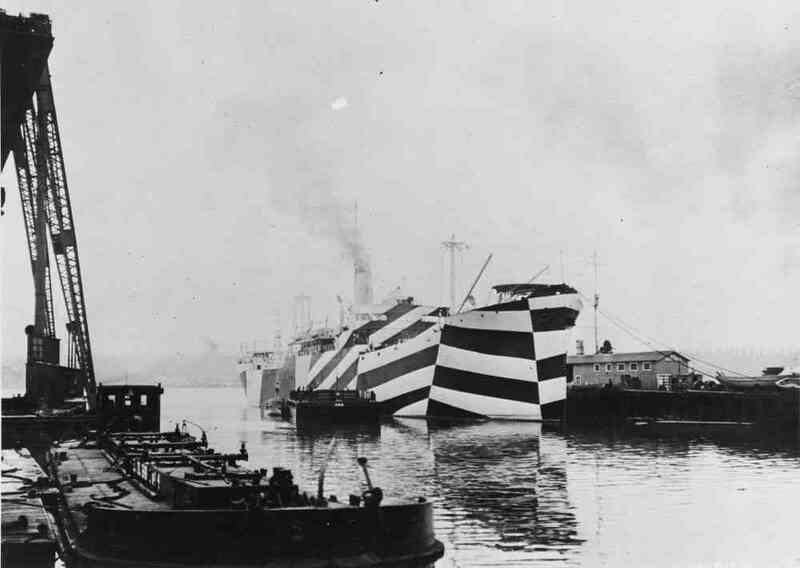 The Royal Navy was sceptical, but the Americans went on to experiment with “motion dazzle” – as the effect came to be called – transforming ships like the USS West Mahomet into a cubist assemblage of zebra-striped panels. In 2015, nearly a century after the stripes were first used on ships, the Red Bull Formula 1 team incorporated the concept in one of their cars. They covered their RB11 car in squiggles, making it look like someone had accidentally spilled spaghetti on it. The idea behind it was to thwart any efforts by a rival team to analyse the car’s aerodynamics. That same year, Gopal Murali, a PhD student at the Indian Institute of Science Education and Research in Thiruvananthapuram, set out to answer a question that had been nagging him for a while: were the stripes on the bodies of so many species of lizards, like the colouration on the naval ships, a tactic to outsmart predators? Murali was interested in how animals on the move used body colouration and patterns to escape their predators. Traditional camouflage worked best when an animal was at rest, but even a slight movement could spoil the deception. So, particularly mobile animals needed their body patterns to dazzle or confuse predators. Equally intriguing to him were the other possible implications and payoffs, especially evolutionary, of these colour patterns. This was, according to him, a “relatively new and unexplored” area, unlike camouflage colouration – which had been studied extensively. He was especially keen on observing this phenomenon in reptiles. Lizards were an obvious choice to him because many of its families had “high contrast stripes whose function was surprisingly not clear”. It was a chance to link the “motion dazzle” effect to real animals and see how it played out in their lives and evolution. The SS West Mahomet’s stripes were intended to make it difficult to point the ship’s location or gauge its speed. Photo credit: Bureau of Ships Collection in the US National Archives/Wikimedia Commons [Public Domain]. Murali started out with a bold hypothesis: longitudinal stripes in lizards were a form of motion dazzle that redirected attacks away from the lizard’s body to its expendable tail. Most species of lizards have tails that can be discarded, and easily regenerated. Testing the hypothesis in the wild was going to be almost impossible as Murali knew he wouldn’t be able to standardise various parameters. Instead he settled for realistic “prey lizards”, modelled on a touch screen computer. In earlier such experiments, Murali had tried to train chickens and quails to assume the role of predators, but had met with little success. “Even after training them for four months, we could not successfully make them attack a moving subject,” he said. So, 155 human volunteers or predators were recruited to attack the virtual lizards by tapping the screen as they darted across it. Lethal attacks were classified as those that hit the front of the lizard, non-lethal ones were those that landed on the tail, or missed the lizard entirely. 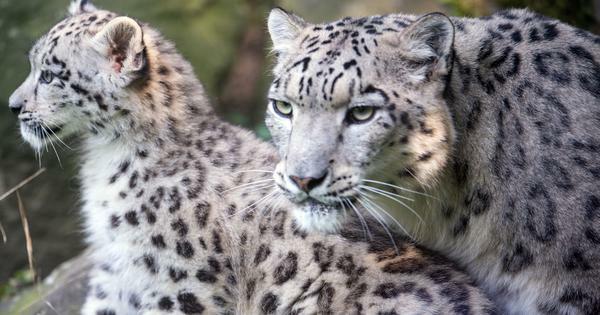 The predators were presented with many permutations and combinations – ranging from stripes and blotched patterns to no colouration on both the anterior and posterior halves – of their prey. The first experiment showed that lethal attacks were significantly reduced when the anterior half of the lizard was either striped or blotched. Among the two though, stripes worked better in tricking predators into directing the attack to the lizard’s posterior, thereby increasing the prey’s chances of survival. How did the stripes enable this? Murali’s guess was that the lizard with stripes on its anterior was being perceived as moving slower than it actually was. A predator, aiming for the body of the lizard, would end up waiting a little longer before attacking. As a result, the blow would land on the tail instead of the body. A secondary experiment, which required volunteers to compare the speeds of striped and plain screen lizards, confirmed Murali’s theory. In the case of the naval ships, the stripes had created a generalised confusion. But here, the longitudinal stripes redirected or deflected the attacks in a direction parallel and opposite to the direction of the lizard’s travel, onto the tail or further back. 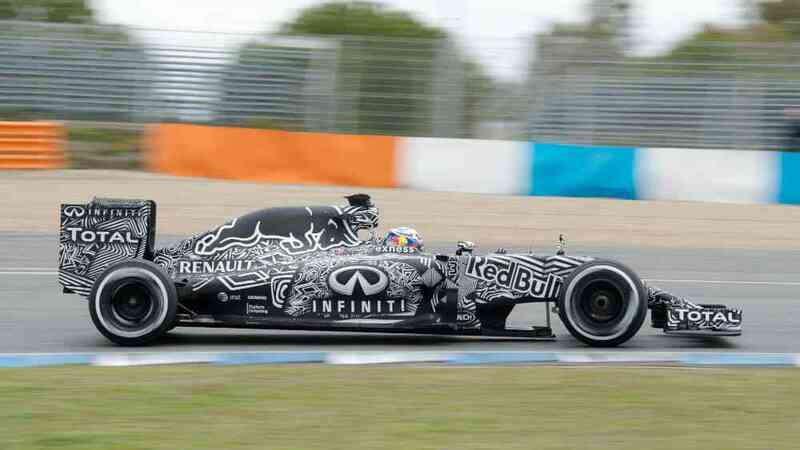 The RB11 Red Bull Formula 1 car in its camouflage livery, in 2015. Photo credit: Michael Elleray/Wikimedia Commons [Creative Commons Attribution 2.0 Generic license]. Many lizard species with stripes have brightly coloured tails, further amplifying this redirection by drawing attention to themselves. These findings, published in the journal Royal Society Open Science in 2016, attracted a lot of international attention. For its author though, it was just the start of a line of questioning. While there was some clarity now over why some lizards had stripes, Murali knew it wasn’t the whole story. Stripes, unlike no colours or camouflage colours, also made a lizard more conspicuous to predators. Clearly, for some species, the advantages outweighed the risks. For others they did not. So what other factors determined whether a lizard had stripes or not? Another question followed: how did stripes correlate with the behaviour and the physiology of different species of lizards? Logically, the first correlation to explore was with size. Murali now asked the human predators to attack striped lizards of various sizes. It soon emerged that stripes worked best on shorter lizards. As the body length of the lizard increased, there was an increase in the proportion of lethal attacks. Body width seemed to have no effect. Motion dazzle, it seemed, worked best in shorter lizards. In bigger lizards – who were already more conspicuous – the redirection was not enough to prevent fatality. Conversely, stripes would most likely evolve in shorter lizards. This is borne out in nature, where larger lizard species are bereft of stripes. 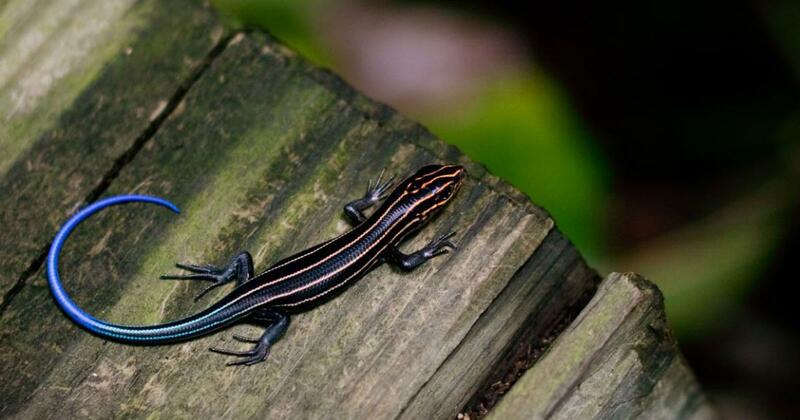 Then there are species like the Be’er Sheva fringe-fingered lizard (Acanthodactylus beershebensis) and the Southeastern five-lined skink (Plestiodon inexpectatus) in which juveniles have stripes but adults don’t. In the former, the hatchlings have dark yellowish stripes on their bodies, which turn into a plain brown colouring in adults. Bolstered by these findings, Murali, his teacher Ullasa Kodandaramaiah and another colleague dived into a web of other possible correlates. They published their results in the Journal of Evolutionary Biology in an August 2018 paper titled Grab my tail: evolution of dazzle stripes and colourful tails in lizards. This time they looked at data from 1,622 species of lizards, analysing nearly 8,000 images of adult and juvenile lizards. First they found that lizard species without detachable tails did not have stripes or colourful tails. This was expected – if the tail wasn’t detachable it made no sense to deflect attacks onto it. Stripes and colourful tails seem to have evolved in conjunction, affirming that their functions were linked. The location of the longitudinal stripes – along the side or on the lizard’s back – depended on whether the species’ prime predator was terrestrial, like a snake or animal, or aerial, like an eagle. It was also associated with the specific colour – red, blue or green – of the tail. 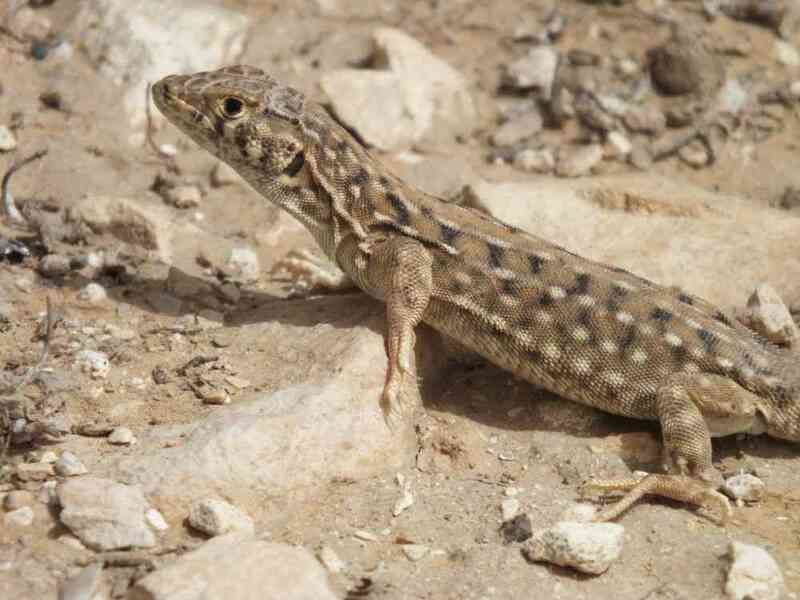 Be’er Sheva fringe-fingered lizard (Acanthodactylus beershebensis). Photo credit: Boaz Shacham/Wikimedia Commons [Creative Commons Attribution-Share Alike 3.0 Unported license]. Lizards with aerial predators were likely to have red tails, a colour that attracted raptors, and stripes on their backs, where they would be visible to the predators. Blue tails, on the other hand, were more attractive to ground-dwelling predators like snakes, and in such cases the stripes would be on the flanks. Next was exploring behaviour – striped species were more likely to be ground-dwelling and have higher body temperatures. Both of these were prerequisites for rapid motion – on which the efficacy of motion dazzle is predicated. For species that lived in the trees, where the possibility of rapid escape was limited, camouflage colours made more sense. Having explored the intricacies of a lizard’s stripes, Murali now wants to look at their long-term evolutionary implications. He’s already onto his next study which looks at the effect of stripes on diversity within lizard groupings or lineages. As per pattern, he has a working hypothesis – lizard groups with stripes have greater chances of survival, and are consequently more diverse. While Murali is far from having satisfied his curiosity, his research thus far has proved one thing: the reasons why some lizards wear their stripes are indeed complex and very considered.